RevenueHits Review 2016: Is it Best Adsense Alternative? Finally, after reviewing Infolinks, Propeller Ads, and AdHitz, I am going to review RevenueHits: A best and Highest paying performance based ad network..
For the people who do not know about RevenueHits, let me give a brief introduction to this Ad Network. What is RevenueHits Ad network? RevenueHits is an Ad Network company owned and operated by MyAdWise Ltd – a privately-held, founded in 2008 by a team of experienced tech professionals, finance experts, and successful online marketers. 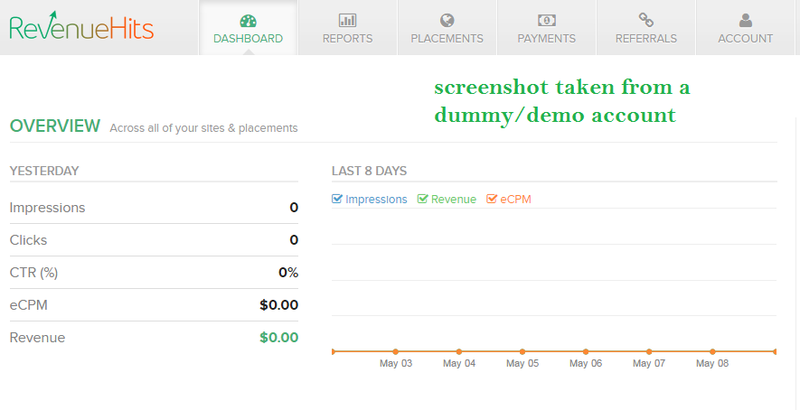 It works in the same way as Adsense and other CPC/CPM Ad network work. Why am I reviewing this Ad network? I was getting a lot of messages in my email box and even on my social profiles from the people who have been banned by Google Adsense, asking me to suggest some Google Adsense alternatives. No doubt, I have already listed AdsOptimal as the best Adsense alternative but that is good only for the sites having traffic from Mobile. So, if you are looking for Adsense alternative that works well for any type of traffic (Desktop/Mobile) then I can say RevenueHits would be best for you. I have personally tested this Ad network on my niche sites for 15 days and I got awesome results and better than other Adsense alternatives like Infolinks and Chitika. Why is RevenueHits a best Adsense Alternative? 1. Easy to get approved your sites. 2. Easy to add codings to your blogs. 3. No hard and fast rules/conditions like Adsense. 5. You can use it with Google Adsense Ads. 6. Minimum threshold is $20 only. 8. They pay on NET 30 basis. How to Sign Up and Placed Rvenue Ads on your blog/Website? 2. Click on button, "Sign Up to become Member". 3. Click on Start Now and enter your details. 4. Proceed for the next step and enter additional details. 5. You have completed the Sign Up process and you may get an verification email from RevenueHits so check your email and verify your account. 7. Now you can Login to your dashboard. You might be impressed by the look of their dashboard. I worked on Pop Ups and Interstitial Ads and they gave me good results with higher earnings. You should also try those ad units for sure. 9. 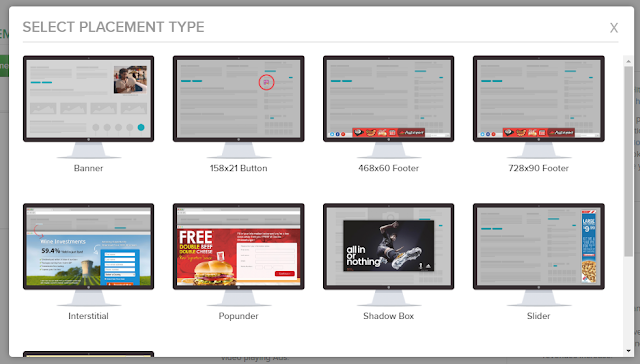 To create ad, navigate to "Placements" and click on create a new placement. Enter details of your Ad, like title and Size of your ad. 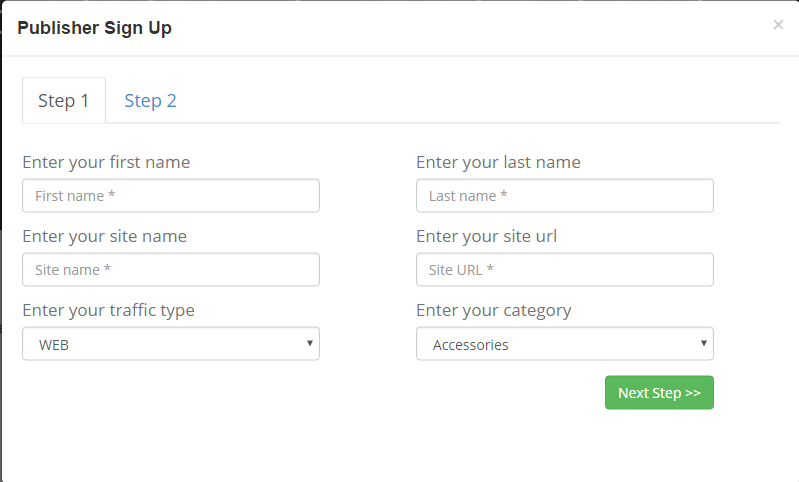 Now it will give you the coding/script to add into your websites. 10. Just add that code in HTML widget of your blog. You can check your earnings, impressions, CTR and all other factors on your Dashboard by logging into your RevenueHits account. RevenueHits Ads Network has Paypal, Payoneer or Wire transfers and the payment threshold can be as low as $20 if you’re using Paypal. Yes, as I already mentioned that this Ad network has recently started Referral program that means now publishers can earn money in two ways, i.e., by displaying Ads on their sites and by referring other people to use their Ad network. How can publishers participate in their referral/affiliate program? It is damn easy. You can check on your dashboard that there is a "Referrals" tab menu, click on that and you will get your referral link. If you are the people/publisher who have been blocked or disable by Google Adsense, earnings are less, or not satisfied with your current Ad network then you must go for RevenueHits Ad network. It does not cost any money to you, so no need to think just give a try to this awesome Ad newtork and have the results. After reading this review, if you have any doubt or questions then please let me know through comments. I will reply your queries as soon as possible. Message: I hope that you have enjoyed 'RevenueHits Review 2016: Is it Best Adsense Alternative?' article. However, if you want me to deliver more items, then please share my post. You can use Social Sharing Widget provided at the end of every post. After all, Sharing is Caring! bro what is the minimum threshold if we want to Payout via Bank account?? I am glad you liked this review. Keep reading this blog regularly to have more informative posts like this one. Great review! thanks for these valuable informations, its really the best adsense alternative until now.